Over the past couple of weeks, the college prep class has visited local campuses. 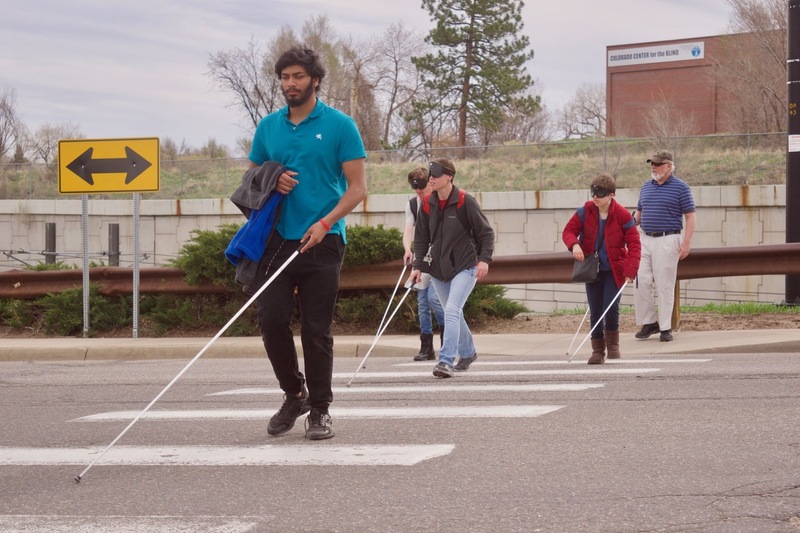 Our thanks the staff at Metro’s Access Center and Arapahoe CC’s Student Access Services for sharing their time and expertise with us during our recent visits. 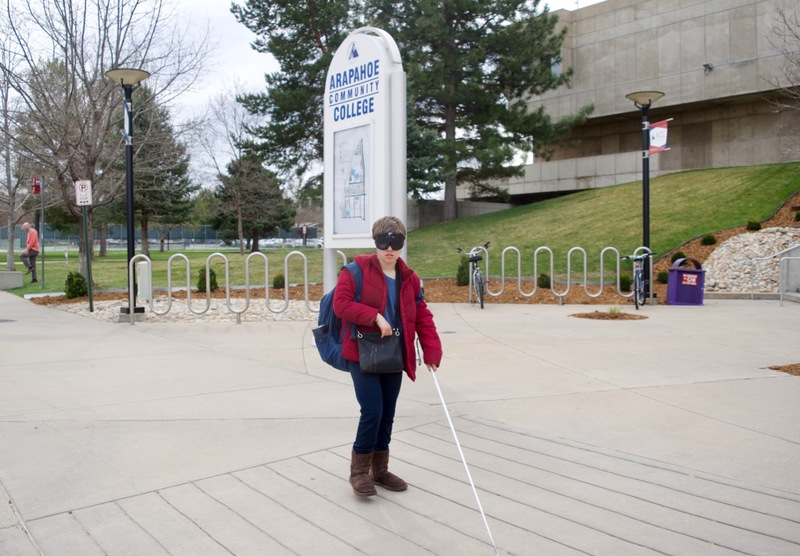 When a blind student leaves high school and goes to college, the world tilts a bit, maybe even seems to wobble slightly on its axis. That’s because the rules change, because the laws governing disability change, and then there’s the part that effects sighted students too. Responsibility shifts more noticeably onto the student’s shoulders than ever before. The sooner students get their feet under them again, the more successful they will be. In college prep class, students learn about these changes, but the best way to begin to understand the truth of it is to visit real professionals at places like Metro and ACC. They both provide access to students with disabilities, but they are different institutions with different missions, and so might have slightly different answers to similar questions about student access. What students gain from this exercise includes an understanding of the kinds of accommodations that are possible and which they may request, practice in asking questions about processes and procedures to request accommodations, and to know what they will need to have equal access in college. At both Metro and ACC, the staff are always extremely generous in giving their time to CCB students, confirming the reality of college we’ve been discussing in college prep, but also sending the unmistakable message to our students that this is doable, and that self-knowledge and self-advocacy are the starting points. These photos were taken on our way to ACC thiss week. But there was one more requirement for college prep class which we’d not been able to fulfill yet. College is also about curiosity, discovery, and greater self-knowledge. To that end, no CCB college prep student completes the class until they have tasted falafelf. (It is surprising how many students have not!) It is a completely arbitrary requirement imposed by the instructor for no other reason than he loves falafel. It is a requirement, nonetheless. Typically, this requirement is fulfilled on the Metro campus, where there is an outstanding Mediterranean food truck. But when we went to Metro a couple of weeks ago, it was spring break and the truck was closed. So Tuesday, after visiting ACC, we jumped on the Route 66 and took it to the Damascus Grill. There, the hunger for knowledge was well-satisfied, if only momentarily.